AUGUST SPECIAL! 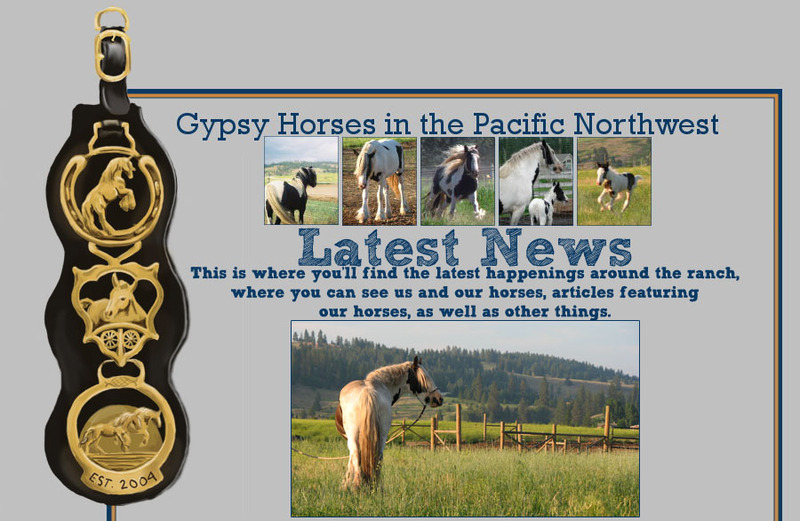 ALL GYPSY HORSES LOWERED BY $1000 OFF PRICE SHOWN ON EACH HORSE'S PAGE. 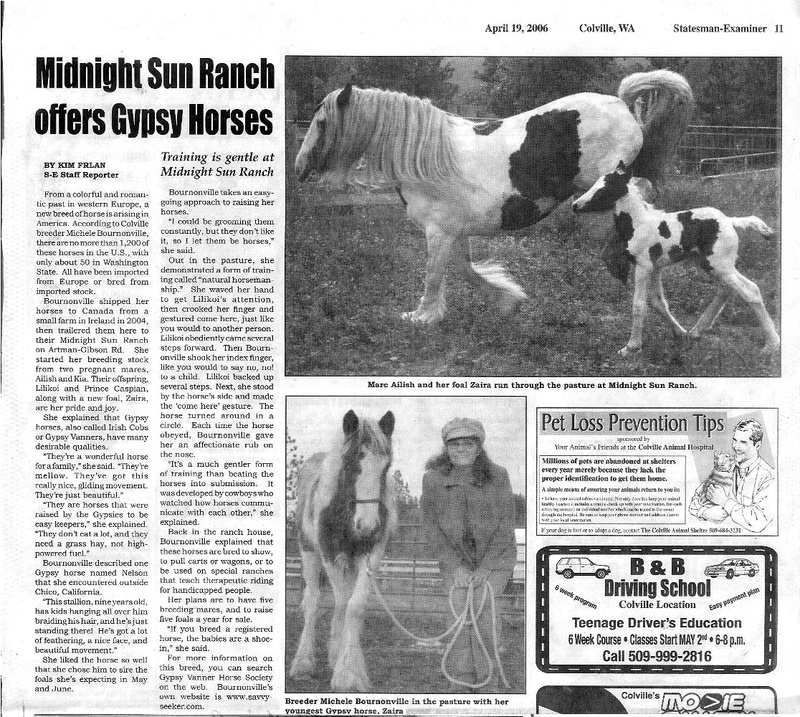 Midnight Sun Ranch was featured in the Gypsy edition of Just Horses magazine in September 2012. 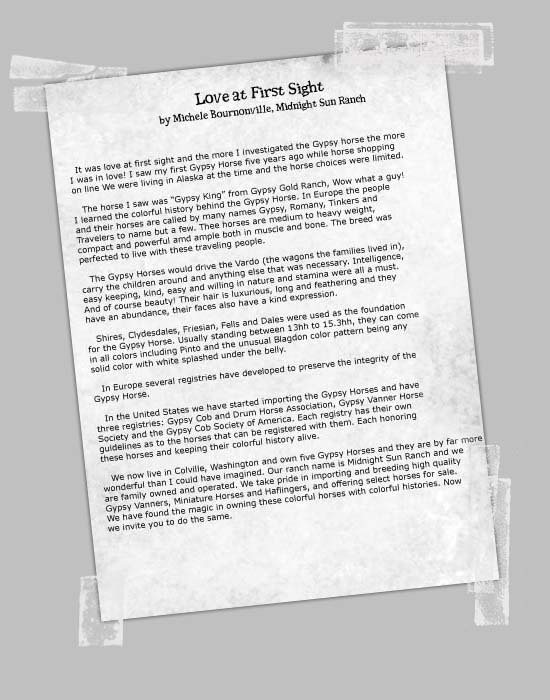 This advert and the following editorial written by Kyanna were published. 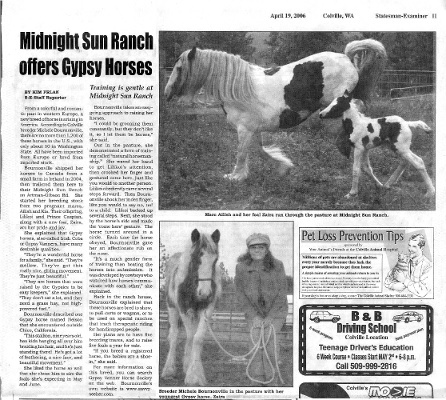 At Midnight Sun Ranch, our experience with the Gypsy Horse has been all about growing. A growing herd (a friendly warning, it happens quickly! ), a growing understanding of what makes these horses so special, a growing education, and a growing community. We started out with two breeding quality mares, imported from Ireland in the early months of 2004. With these two mares paired with a couple well-established stallions already in the States, we developed our foundation herd. 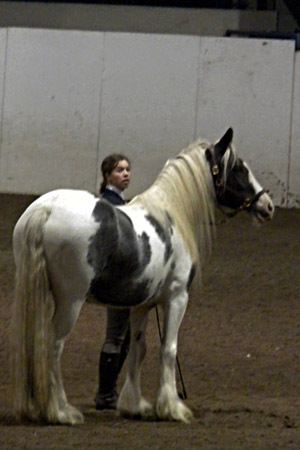 In 2008, we brought in our lovely stallion Vimto to be our herd sire. We are now producing one to two foals a year, with horses currently available for sale ranging in age from weanling to three years old. We prioritize matching people with horses that suit their interests. 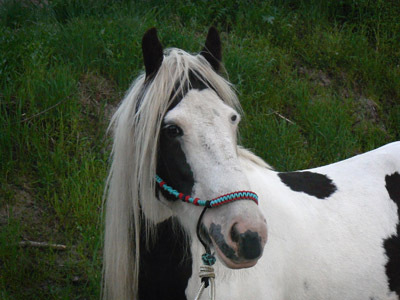 We have found that the Gypsy Horse is widely known for its fairy tale looks and calm demeanor inherited from its draft ancestry, but is less known for how versatile and willing it is. Breed expos and a stronger presence in open shows have contributed to demonstrating to the public just how multi-talented these horses are. 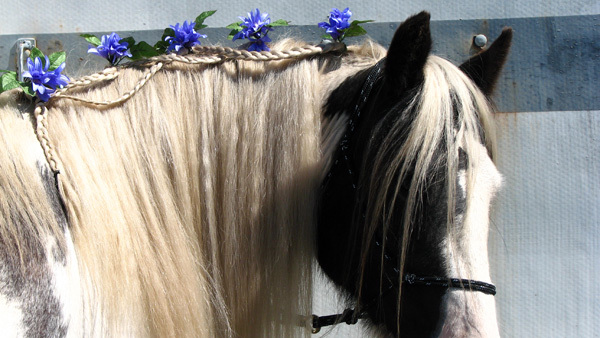 With a strong heritage in pulling wagons, many Gypsy Horse owners in the US are finding a passion driving the Gypsy Horse as well as riding. 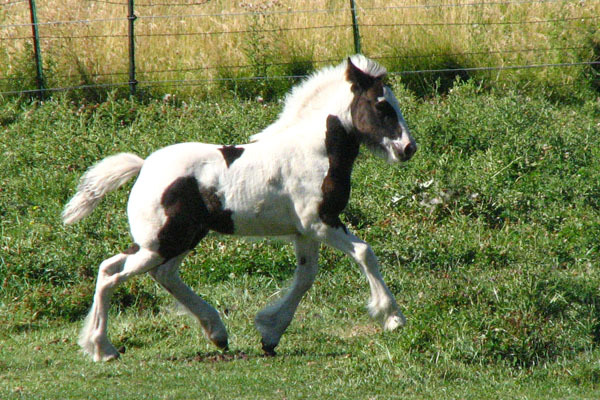 There is a strong push from breeders in the United States to keep the Gypsy traditional. These horses were born out of the Gypsy peoples’ need for a steady yet flashy horse to safely pull their elaborate caravans to the next campsite. 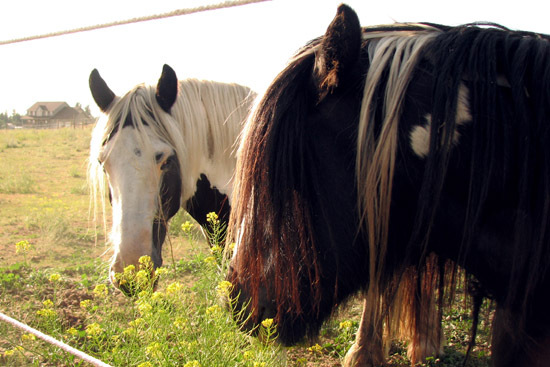 The horses needed to be reliable and easy to get along with, or they didn’t last long. The Gypsies are horse traders, and if a horse did not meet their needs for a trustworthy steed, they were traded for one that did. Just as easily, if a horse was a keeper he was treasured as a member of the family. 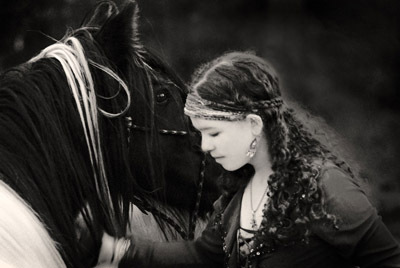 From these treasured horses the Gypsy Horse of today was established. One way US breeders are preserving the traditions of the breed is bringing reputable breeders from the UK over for inspections and judging breed shows. The visiting breeders give valuable feedback and educate owners on the unique challenges of the breed. We at Midnight Sun Ranch have attended an inspection, several breed shows and stay up-to-date with news within the breed and the various associations in the US and abroad. 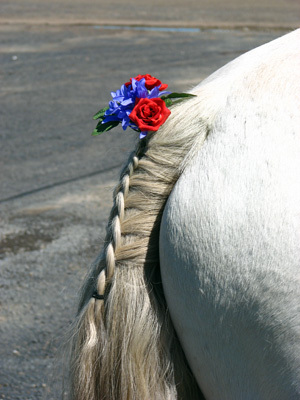 Some US breeders head to the annual horse fairs in the UK. 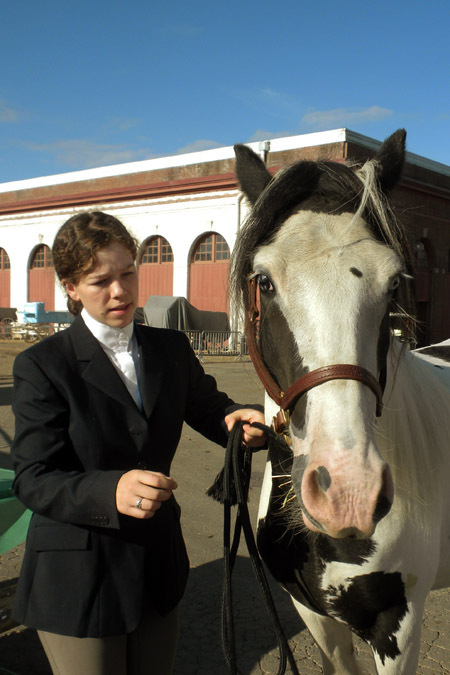 Michele of Midnight Sun Ranch traveled to England to attend Appleby in 2007. 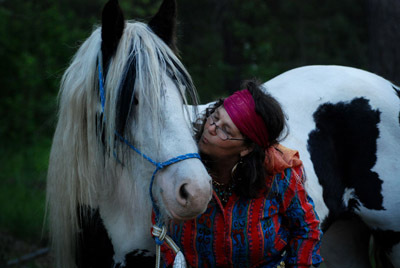 The people involved in the Gypsy Horse Community are a supportive bunch. We have made an extended family from owners we meet at shows and events, where everyone is collaborative and helpful. We look forward to seeing how everyone and their horses have grown and progressed and supporting each other through new experiences. Each year our horses improve and grow in one way or another. They keep getting better, and with a caring community committed to protection and preservation of the traditions of this horse, it’s no doubt we will continue growing with them. Isabella delivered her first foal July 5, 2012. He is a lovely colt, Pali Chal. He has his sire's sweet temperament and his mother's easygoing nature. Pali is offered for sale, available at weaning, and would make a wonderful horse for someone wanting a compliant, calm, and willing young horse. Gemma is growing up fast. She is wonderful to lead and loves playing with her big sisters out in the pasture. She is offered for sale, please visit her page for more details. 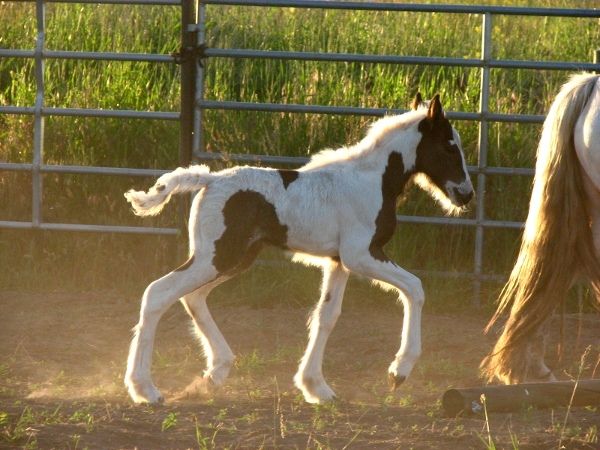 Ailish had this beautiful filly on the evening of June 29, 2011. Gemma is our sole foal of 2011. 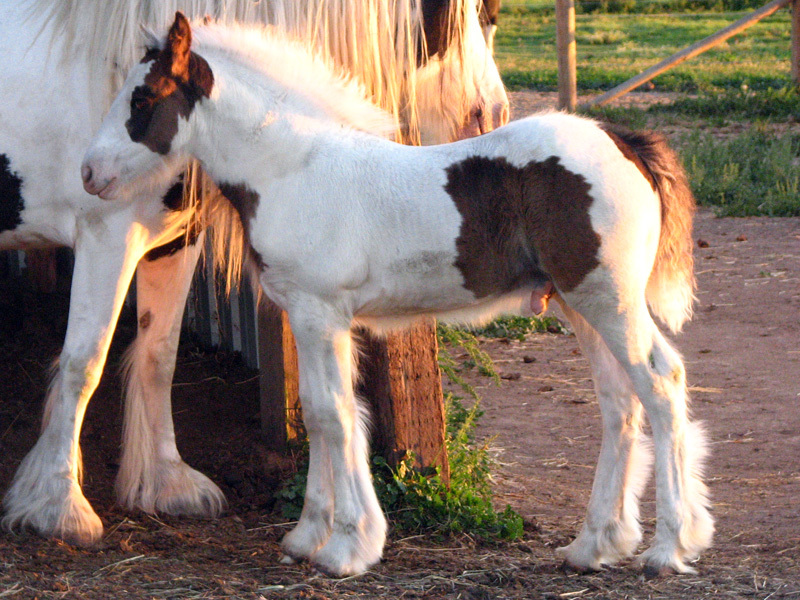 October 1, 2010:Ailish is confirmed in-foal to Vimto for a 2011 foal! These two are proven producers of excellent horses, and we are excited to see what the combination with bring. Oregon State Fair- Salem, OR - August 29-30, 2010 ~ Zaira and Freya. After visiting the Oregon State Fair for many years as spectators, the Midnight Sun Expo Team finally participated in the show this year! Loading up our new two horse trailer, we set out to experience our first competition. 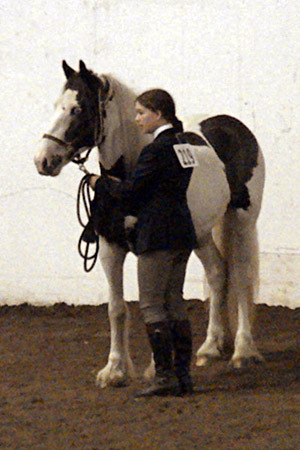 The horses were fantastic, and each proudly placed in two of their three classes. This was two-year-old Freya's first big outing and we couldn't be more proud of her. Also, Zaira's half-brother Rock Ranch Seamus took home quite a few ribbons in the stallion classes this year. It is exciting to hear of extended family doing well! Click the photos below to bring up a photo journal of the event. Spangle Days Parade - Spangle, WA - June 18, 2010 ~ Zaira and Kiah. Michele and Kyanna partook in their first Parade with the horses, a small community celebration through a block of downtown Spangle. 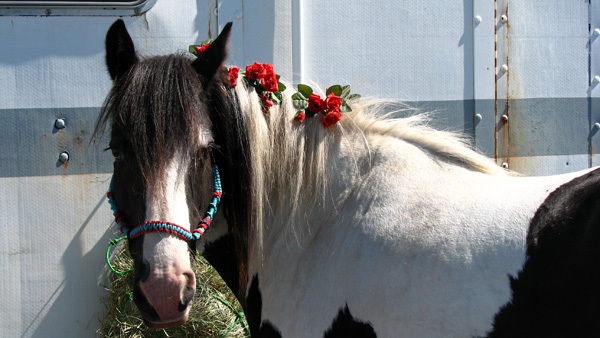 The horses were decked out with fresh silk flowers and Kiah even carried candy to throw at children, although that dream wasn't reailzed. Click the photos below to bring up a photo journal of the event. Ride The West 2009 was a success! Ailish and Isabella have now been part of the MSR Expo Team for two and three years, respectively. They were stabled in a pen that got a lot of foot traffic and admirers. They also were part of the opening spirit of the west show! This was Vimto's first outing, and he earned many fans and gracious comments on how sweet he was. You can check out our complete gallery of photos taken at the event by CBK Photo here. Our photos from the event can be seen in the Photo section of the website. Our first Vimto babies are here! 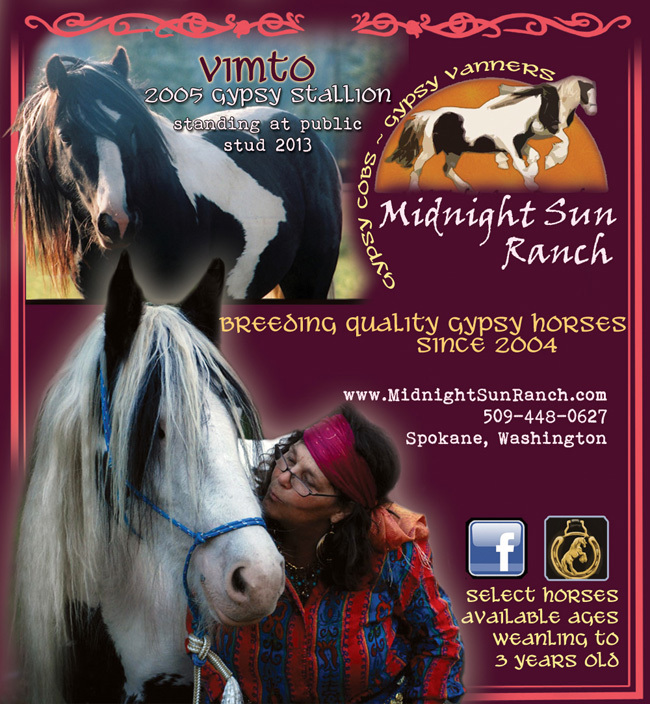 Midnight Sun Ranch Phineas was born May 10, 2009 to and Midnight Sun Ranch Ziva was born May 19, 2009 to Zaira. Both are exceptional horses, we couldn't be more proud! Phin and Ziva are for sale at this time, check out their pages to view recent photos/stories!